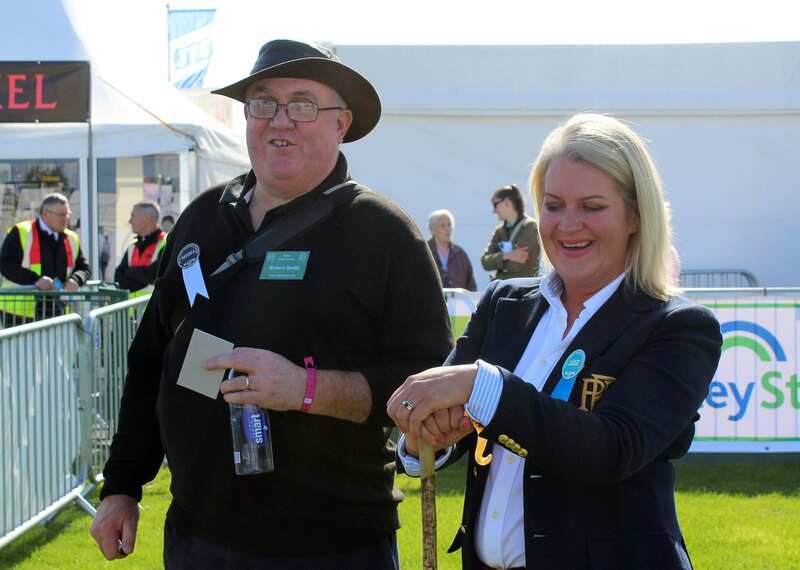 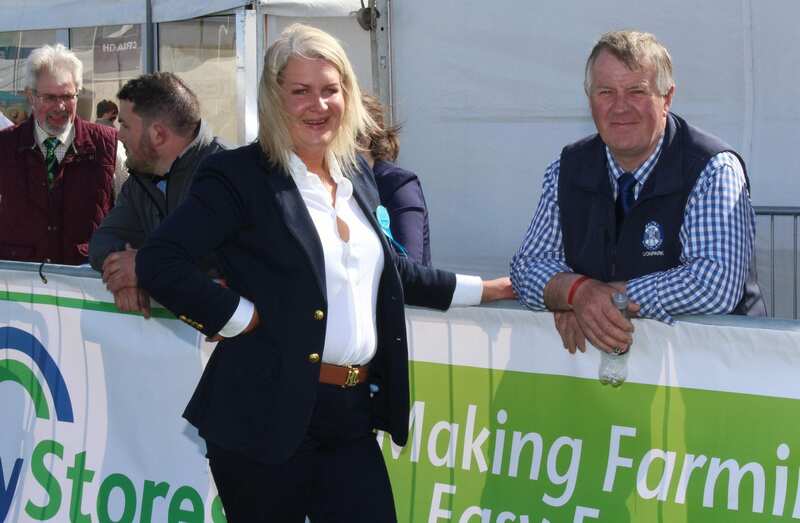 Alison from Ardstewart, Gortaquigley, Raphoe, Co Donegal, Ireland says being chosen to judge at Balmoral is a great honour. 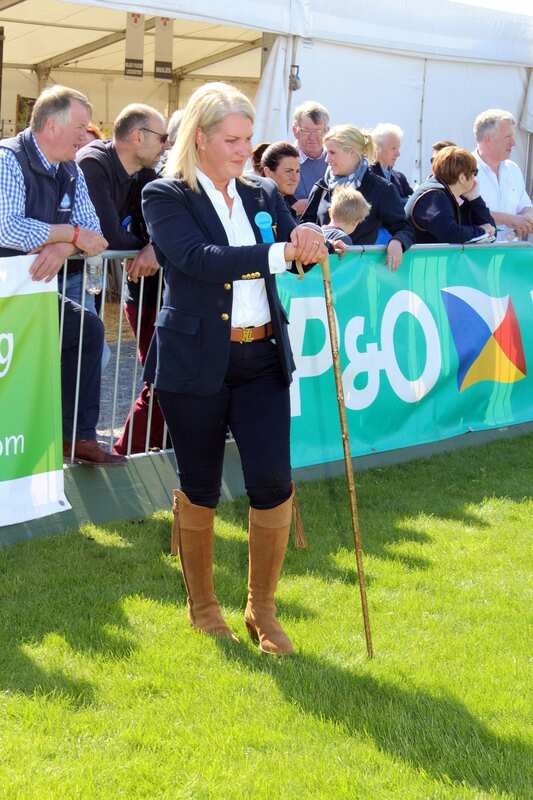 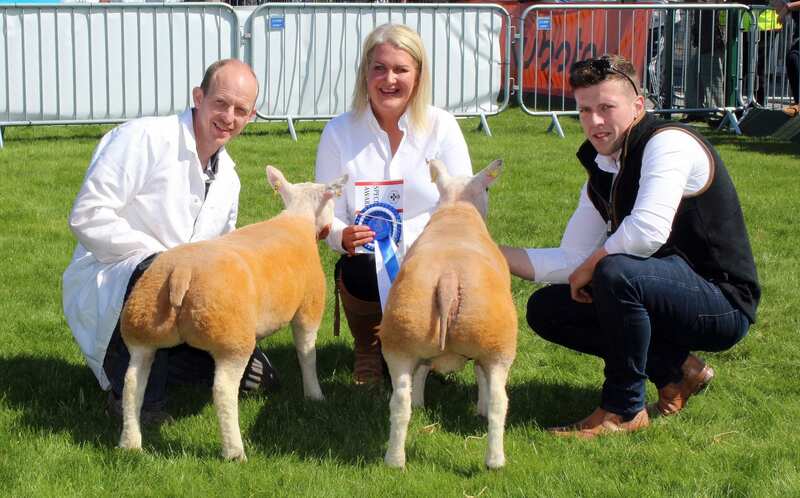 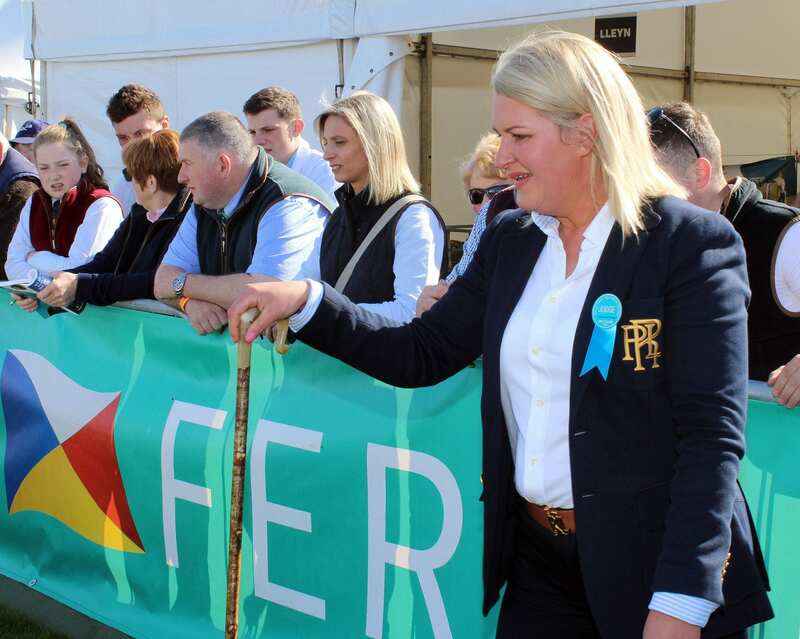 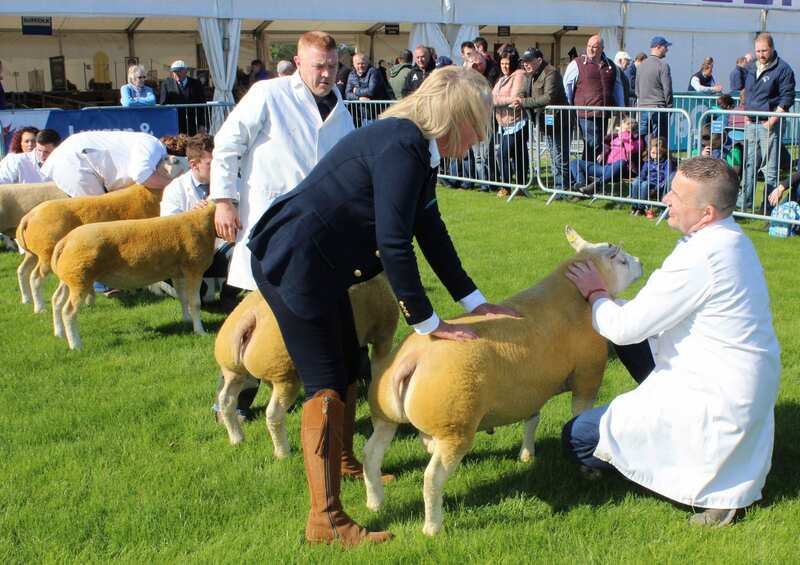 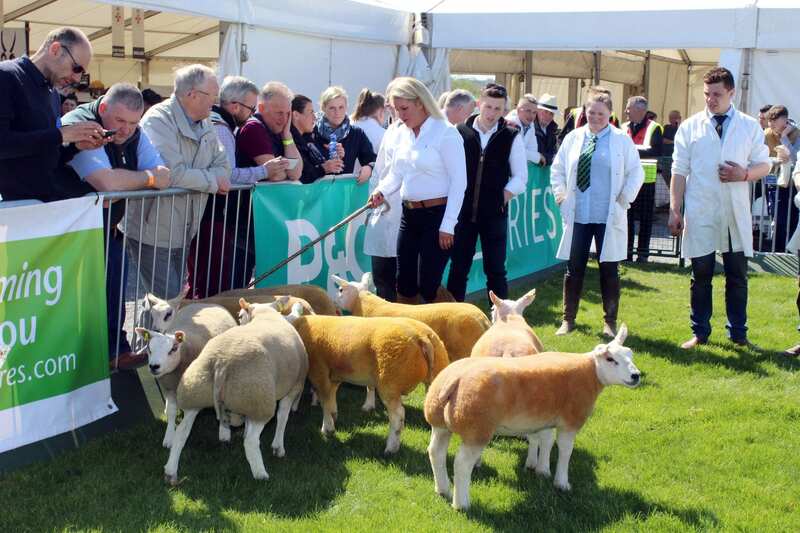 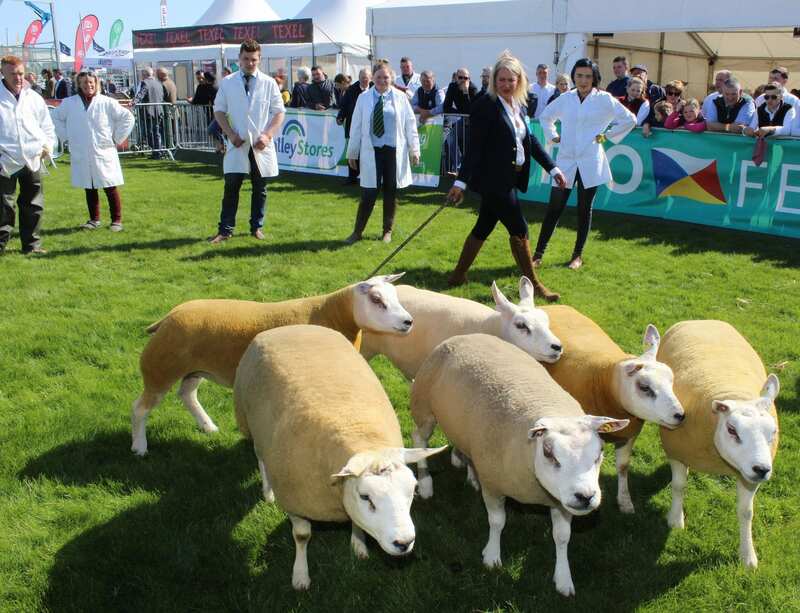 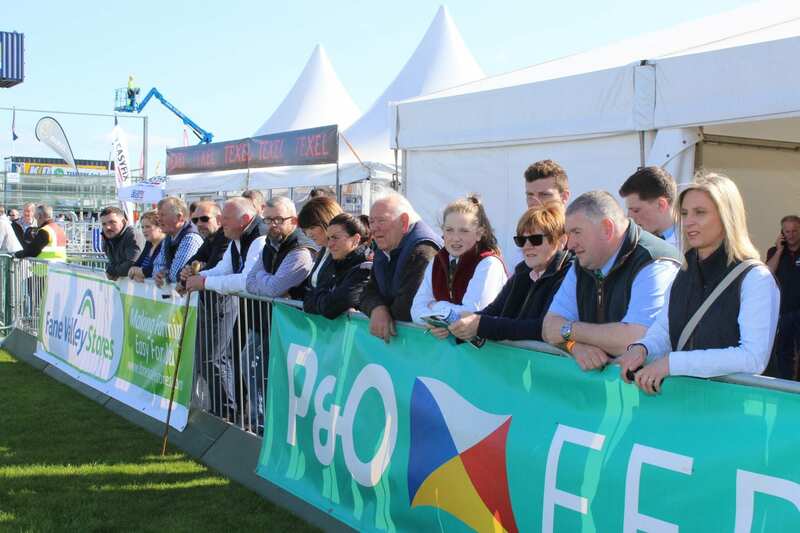 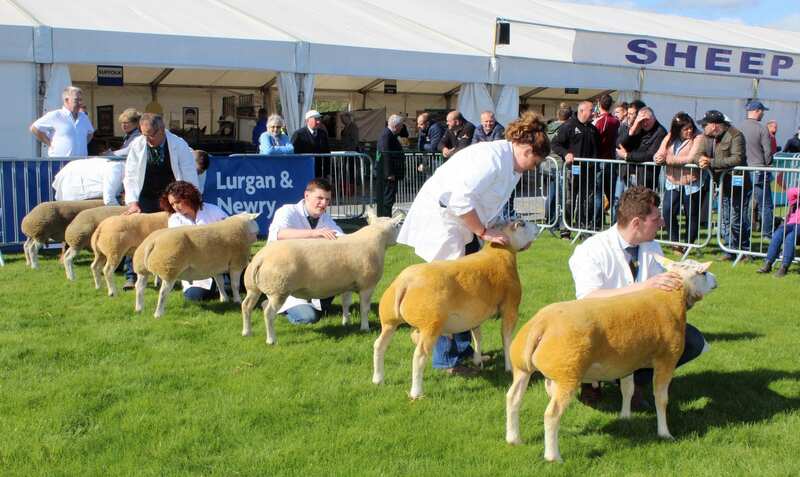 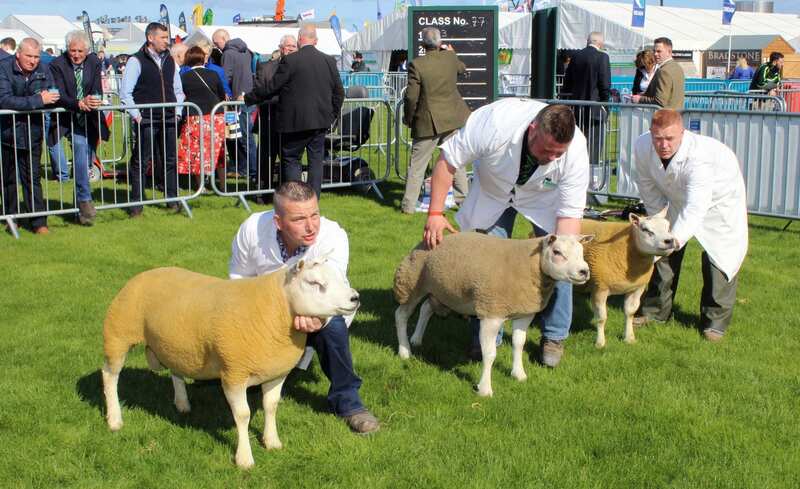 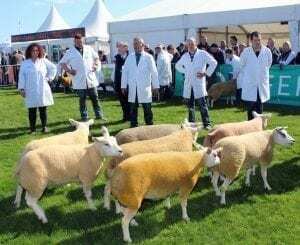 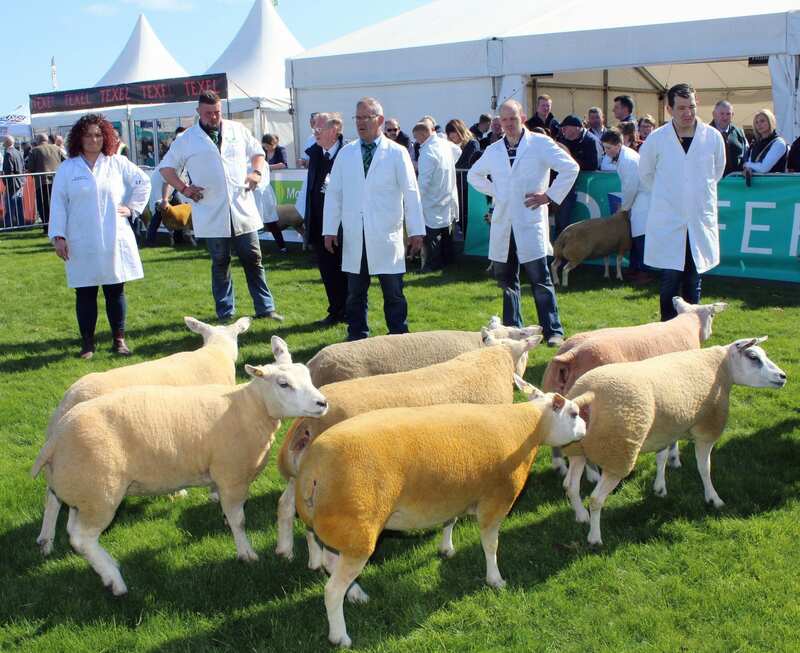 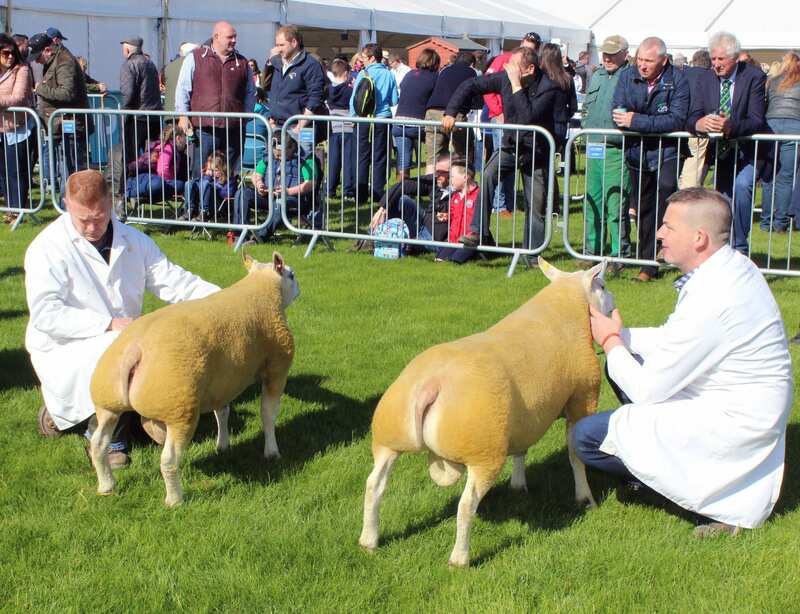 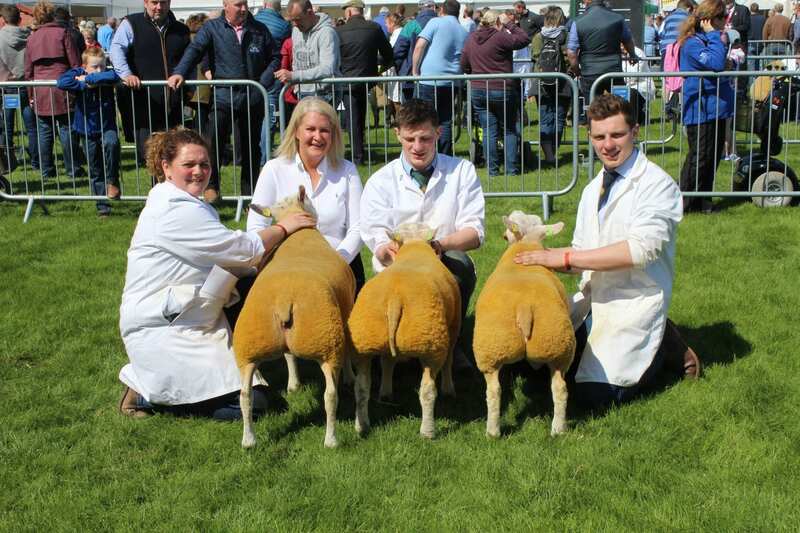 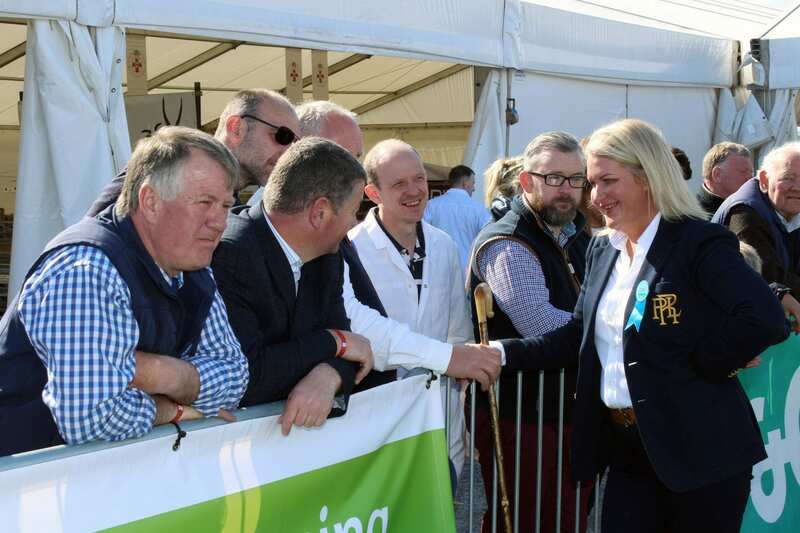 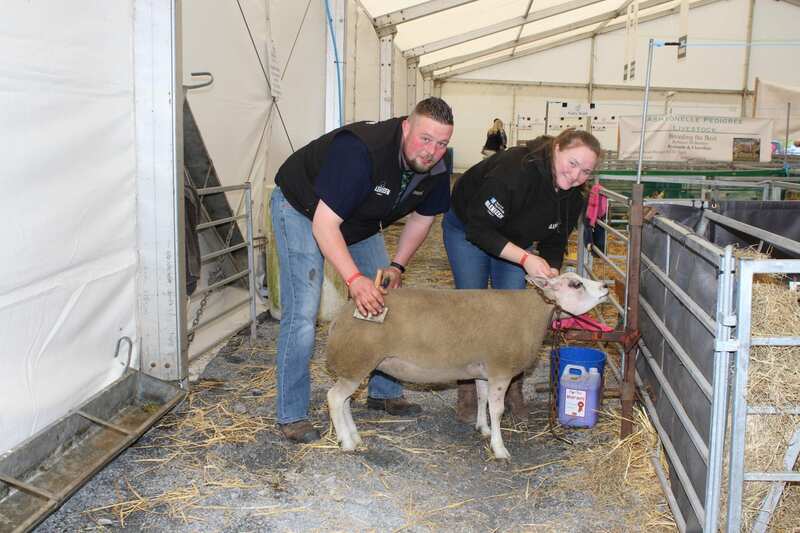 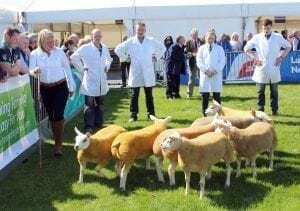 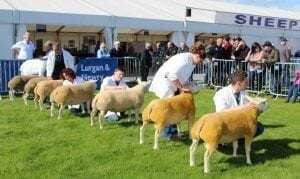 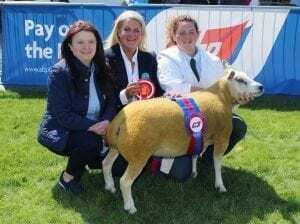 The Ardstewart flock has been successful at Balmoral having lifted the Supreme Beltex title three times. She will be looking for a sheep bursting with character, a smart head, good on all four legs and teeth, good fleece and good conformation from shoulder to the back end “a real correct sheep”. 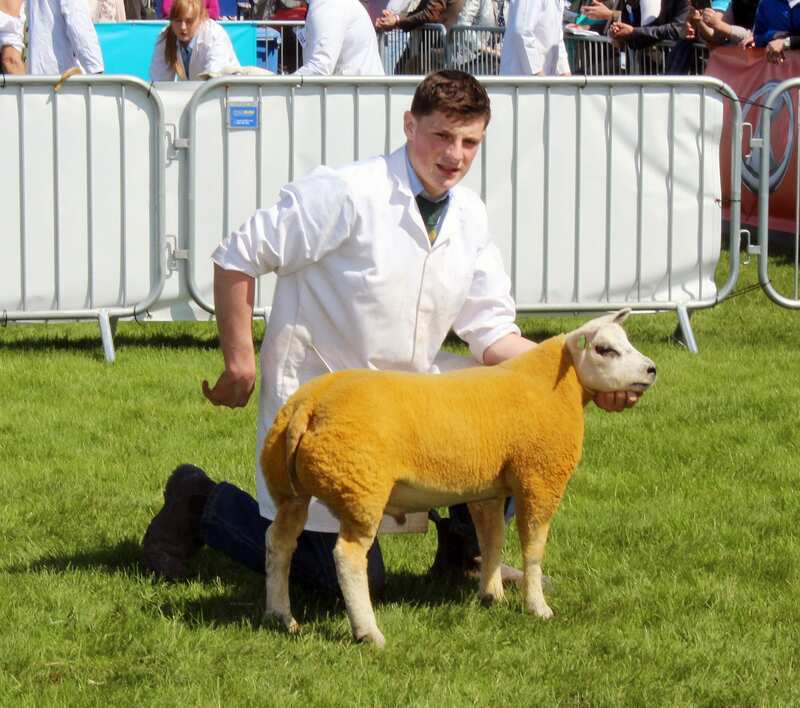 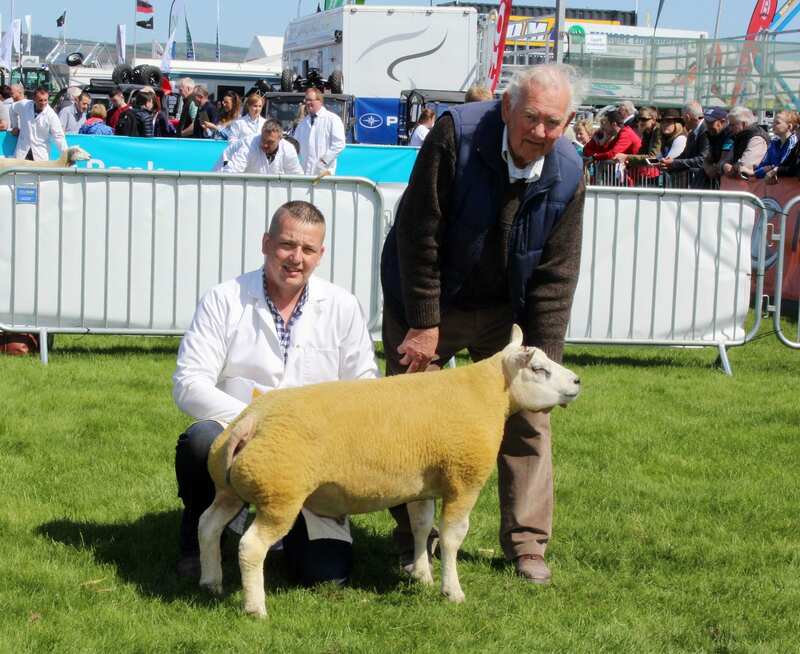 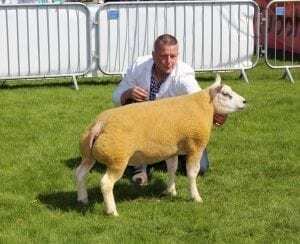 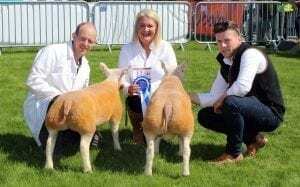 An Aged Ram, Heber Park Batman, took the Supreme Champion title in the Beltex classes for Omagh-based Gary Scott at the Balmoral Show. 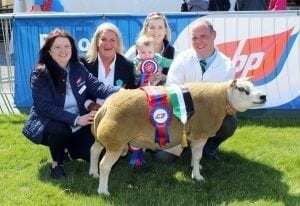 Purchased at the Carlisle Premier Show and Sale last year it’s Gary’s first Supreme Champion title at Balmoral and he’s delighted! Gary has been breeding Pedigree Beltex for five years now and Heber Park Batman currently runs with 25 ewes. 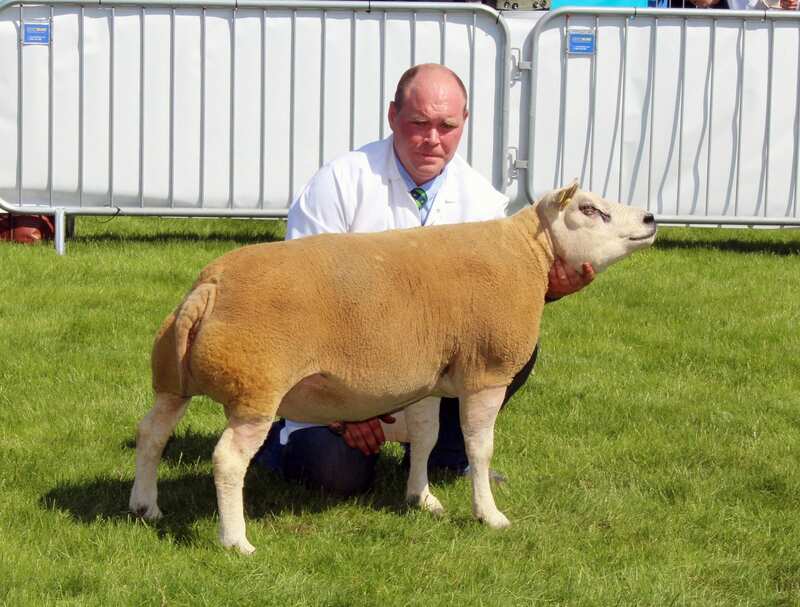 Judge Alison McCrabbe described the Champion as “a real Beltex type with a serious head and amazing conformation”. 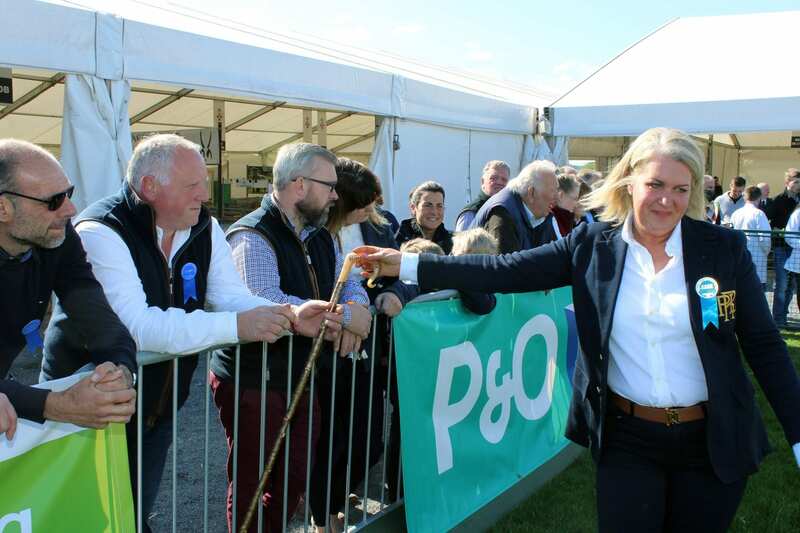 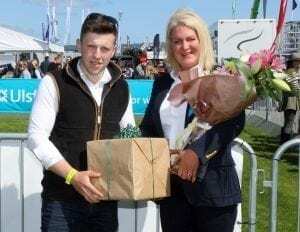 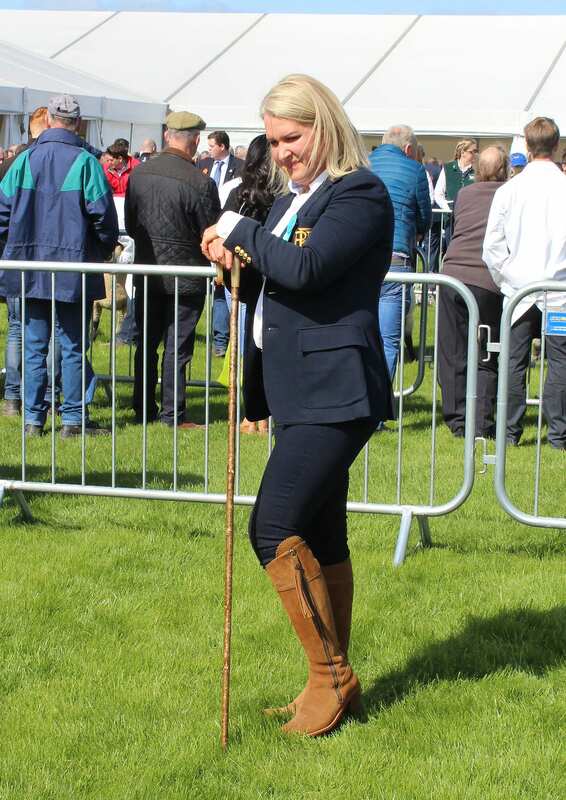 The Reserve Champion title went to Ballymena-based Elizabeth McAllister’s Shearling Ewe, Artnagullion Candy Crusher, which was also awarded the trophy for best home-bred Beltex. 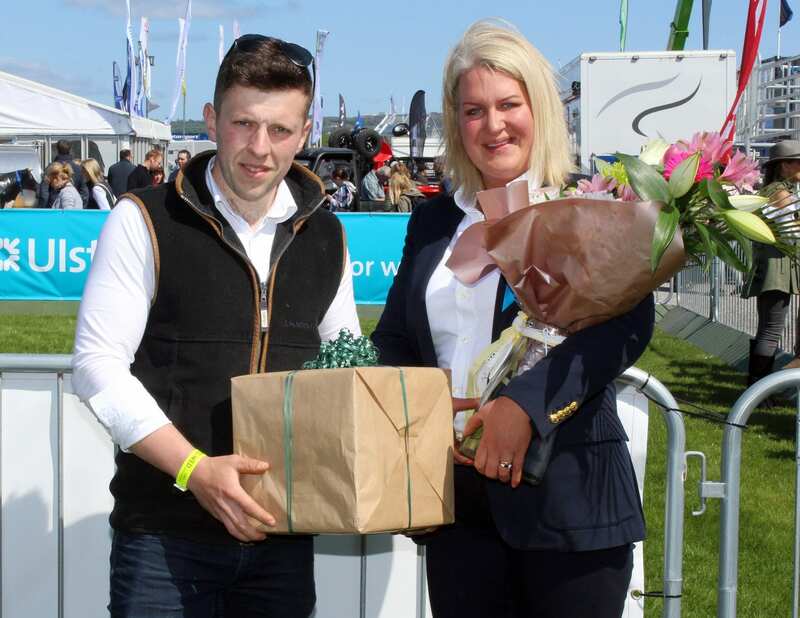 The Cup was presented by Brendan Arthurs from Portaferry. 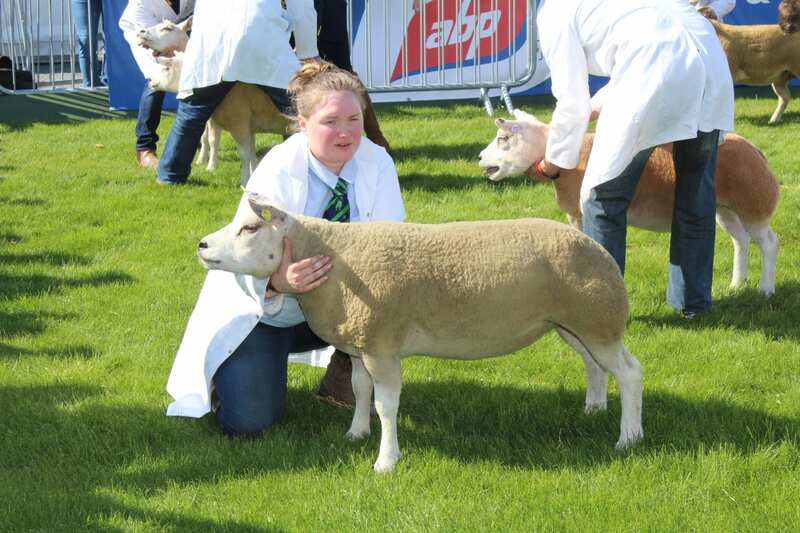 Elizabeth McAllister also had wins in the Ram Lamb class, the Ewe Lamb class and the Group of three. 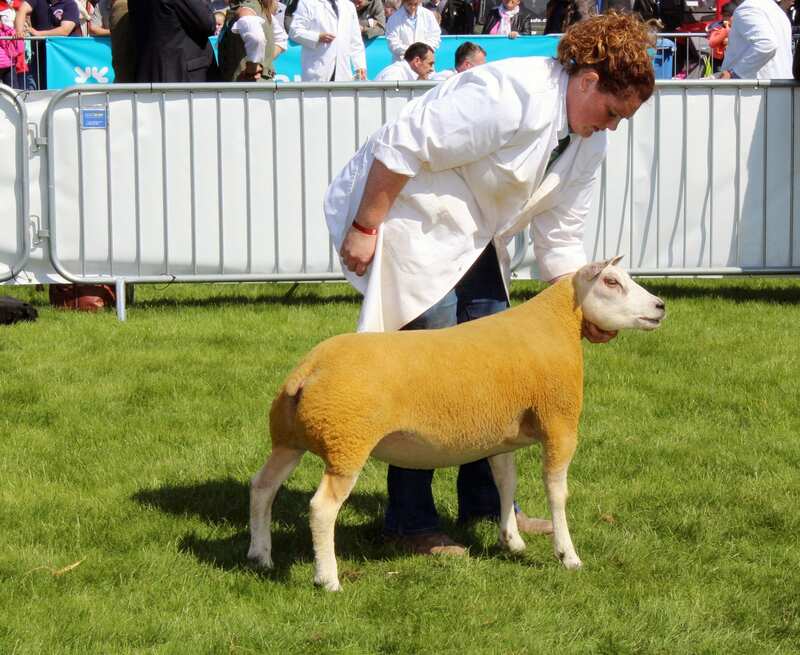 Judge Alison McCrabbe described Artnagullion Candy Crusher as ‘a very sweet female that will be a great breeder”. 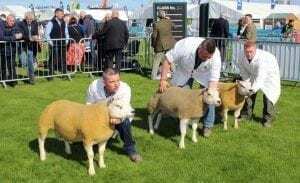 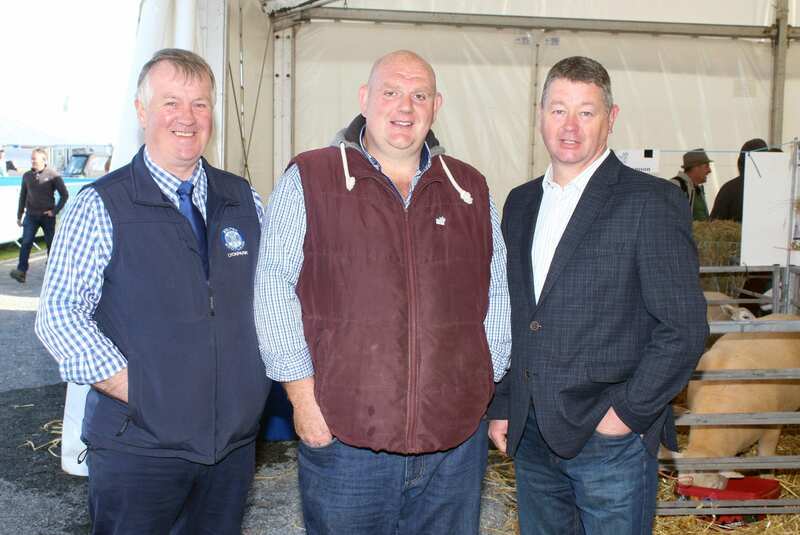 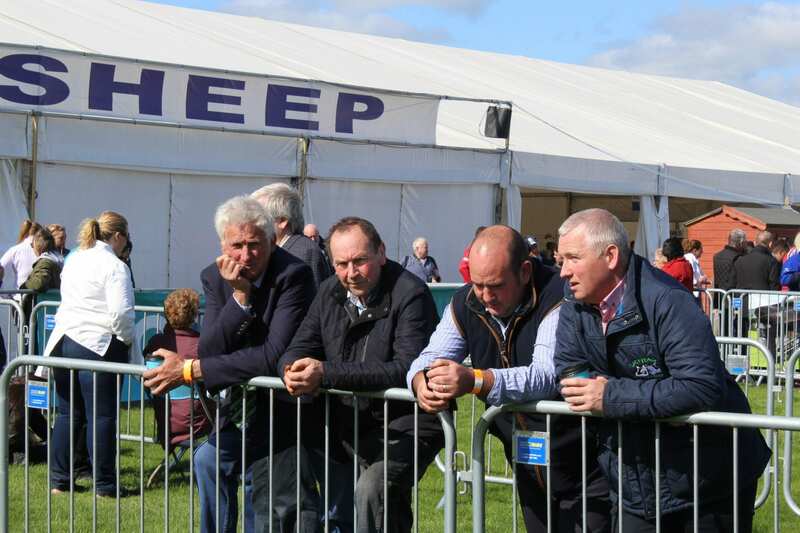 David Brown and Mark Latimer’s Brownville Flock took first place and a third in the Shearling Ram class while Beltex Sheep Society Chairman, John Harbinson from Limavady, took the top spot in the Ewe, two-shear and upwards class, rearing or having reared a lamb in 2018. 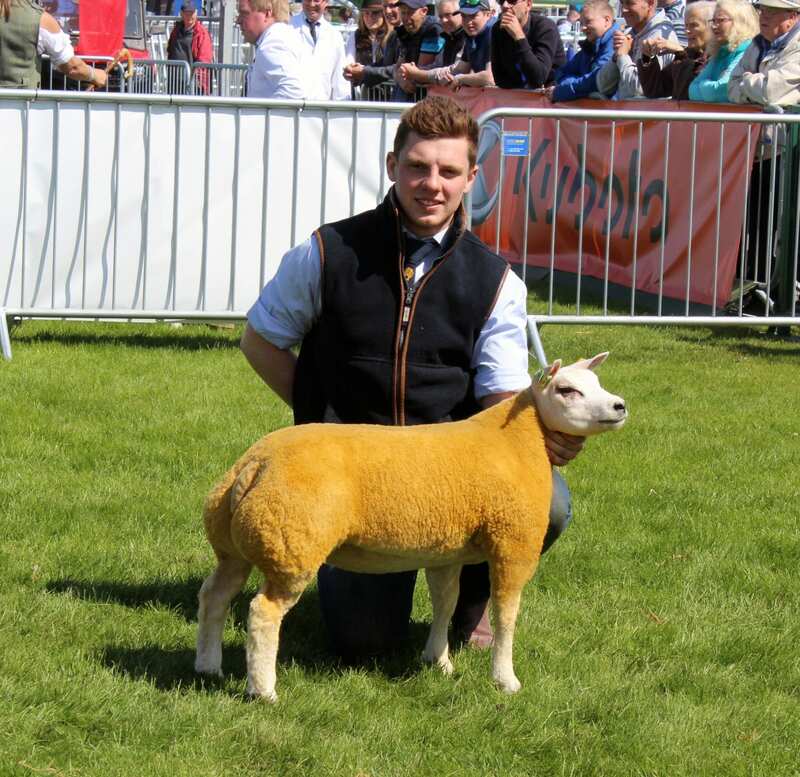 John also took second place in the Shearling Ewe Class and was runner-up in the Ewe Lamb class. 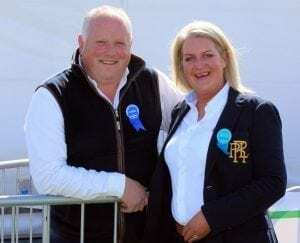 Andrew McCutcheon had a straight 1-2 in the Pairs Competition while Elizabeth McAllister took the Group of three title. 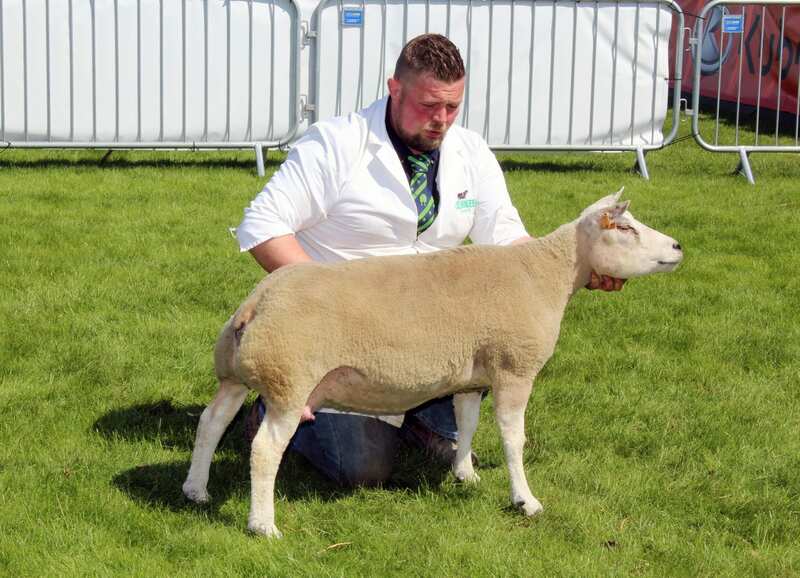 Gary Scott’s Heber Park Batman took the Male Championship with David Brown’s Shearling Ram finishing runner-up. 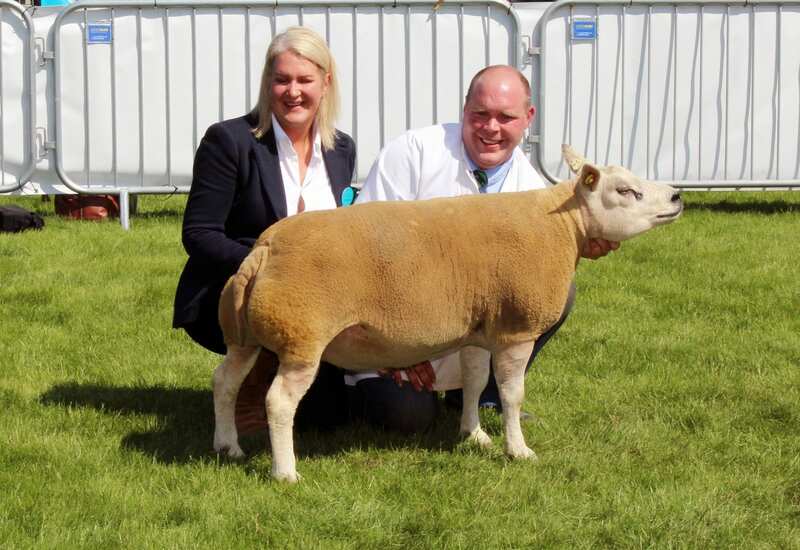 Elizabeth McAllister had the Champion Female while John Harbinson claimed the Reserve Female Champion title. 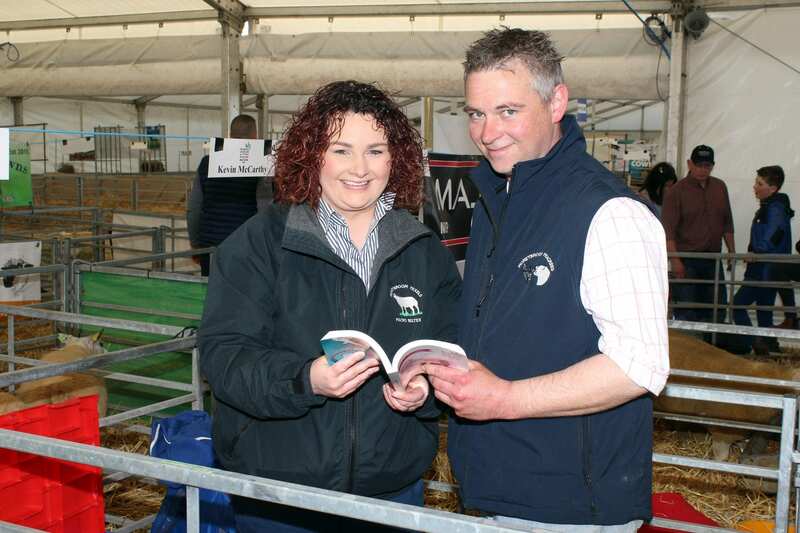 Commenting on the entries overall judge Alison McCrabbe said: “Overall, the quality was good. 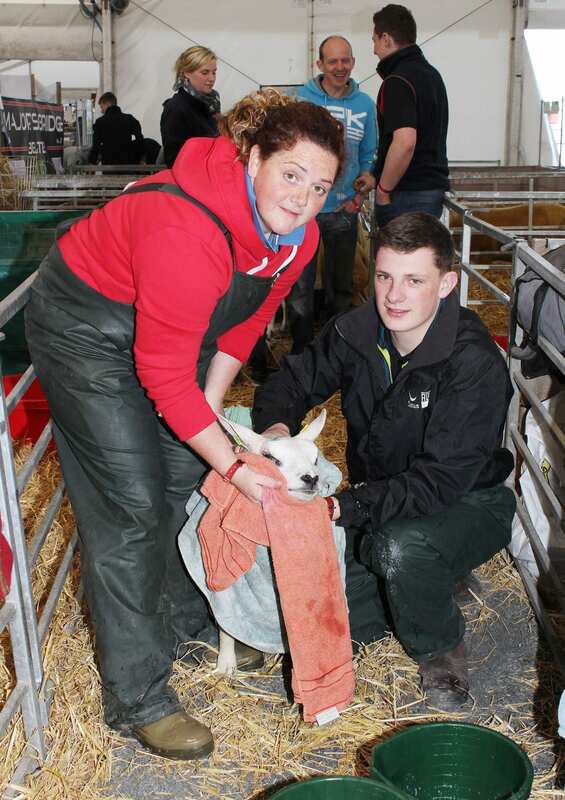 “The ewe lambs class was a very tough class with a lot of future females in the making”. 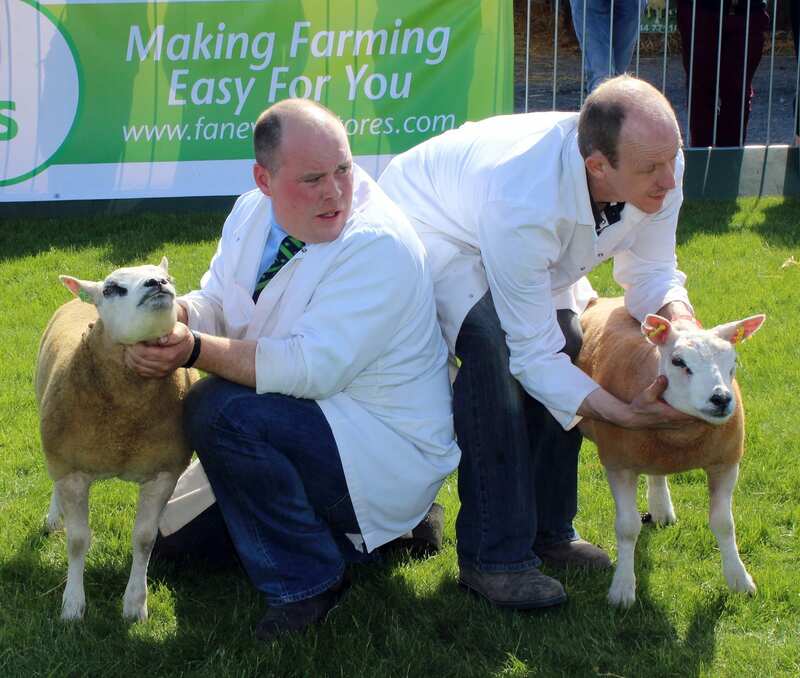 This year’s Beltex classes were sponsored by the ABP Food Group.